Temporary roads and work sites can enable builders and contractors to get their jobs done, regardless of what kind of weather or work conditions they are forced to deal with. 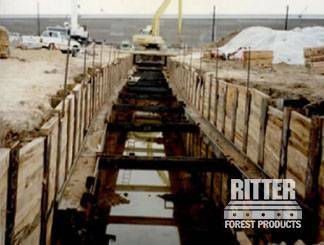 Ritter Forest Products can provide you with hardwood laminated and crane mats for construction and allow you to work over some of the most sensitive terrain on earth. We have mats both for rental and for sale. Before you start a construction project, especially one involving the use of heavy equipment, you should obtain construction mats for rent through Ritter Forest Products. Our mats will allow you to navigate over any terrain in cranes, trucks, and more. They will keep you and everyone on a job site safe. 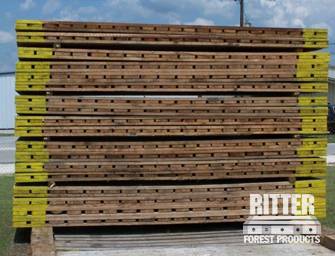 The hardwood laminated and crane mats for construction that Ritter Forest Products has for sale are available in standard sizes and can also be customized to fit your specific job site. They will prevent equipment from slipping and sliding and sinking into the ground. They will also allow you to work safely on any site. If you are an engineer or builder tasked with helping build a home or another kind of structure, it can be difficult to do it when you are dealing with an uneven terrain. Ritter Forest Products has heavy equipment mats for engineers, home builders, and construction sites that will eliminate this problem. You can use any equipment you want when you have the right hardwood laminated and crane mats for construction in place. Working in swampy conditions can be nearly impossible without crane and swamp mats. These types of mats will allow you to set up shop in swampy conditions and use cranes without a problem. Ritter Forest Products has these mats for rental and for sale. When engineers are trying to do their jobs, the last thing they need is for the terrain to present problems with walking and navigating around on a worksite. Heavy equipment mats for engineers will solve this issue and give you access to the areas you need to get to most. 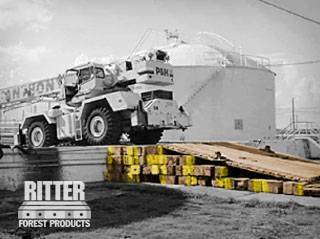 Ritter Forest Products has the mats you need in stock. 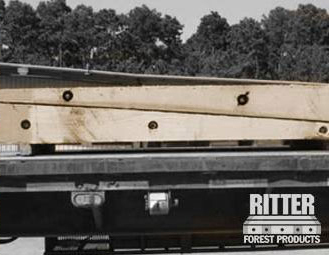 If you need hardwood laminated and crane mats for construction for rental and for sale, Ritter Forest Products can provide them for you. Contact us today to have them delivered directly to your next project.